If you haven't experienced a remodeling project gone awry yourself, chances are you've heard a horror story or two from someone who has. From room additions that take twice as long as promised to contractors or subcontractors who disappear -- money in pocket -- halfway through a job, unexpected problems can turn an already stressful situation into a nightmare. San Elijo Hills takes full advantage of its hillside location, which includes the highest point on coastal North County. Twenty-six of the community's 28 single-family neighborhoods have lots that offer panoramic ocean views and 18 miles of hiking trails that traverse some of the best viewpoints. Imagine your home offering a blank canvas on which to impart your own design sensibility? Do you prefer a minimalist Japanese decor, or a Tommy Bahama French Colonial look? What if your tastes change in a year, or if your roommate's departure allows you the opportunity to redecorate? Would you like movable walls, an interior water feature? It's all at your fingertips in the latest design craze sweeping the country. Ross Whitney and Anthony Balsamo have been leaders in the residential brokerage community for more than two decades. 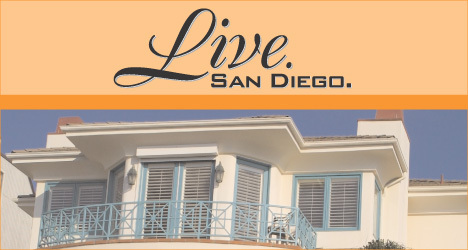 They specialize in representing sellers and buyers of finer homes and condominiums in Bankers Hill, Hillcrest and Mission Hills. Commemorating San Diego's tradition of neighborhoods with a distinct style and sense of place, Standard Pacific's North County communities of Avaron, Bridgewalk, Cabrillo and Cassero offer home shoppers impressive architectural detail, modern amenities and a coveted location within the master-planned community of Del Sur. Realtor, investor and part-time developer Kirsten Keithly has joined American National Investments Inc. (ANI), combining her coastal properties office at 4820 Newport Ave., Ocean Beach, to create ANI Homes Coastal Properties. Housing prices have skyrocketed in San Diego over the past few years, making it difficult for many middle-market households to make the leap to first-time home ownership. This supports the trend outlined in a recent report from the U.S. Census Bureau that found that greater numbers of people are fleeing the nation's largest cities in search of more affordable housing. With rising gas prices the talk of the town, the prospect of a much shorter commute and nearby shopping and entertainment is one of the key reasons buyers are choosing to purchase in the single-family home community of Pegasus in Mira Mesa North, according to the builder. Who is buying million-dollar homes downtown? A popular price point in the downtown San Diego residential market is $1 million to $2 million, which typically buys a luxury two-bedroom condominium. Who is buying these high-end homes and fueling a market that has grown by leaps and bounds in recent years? Five neighborhoods of attached and detached homes top the list of new construction activity at Windingwalk in Chula Vista, where sales continue on another seven neighborhoods already in progress within the master-planned community, according to builders Brookfield Homes and Shea Homes. Homebuyers are taking advantage of their final chance to buy new homes at EastLake as homes in the master-planned community's final neighborhoods -- Cornerstone at The Woods and Atrium by Davidson -- have been released for sale. San Diego appears to be bucking many national housing trends, but it is in line with many others as well. The inclusionary housing ordinance gets another blast as a new affordable housing report paints a grim picture. As some members of the building industry predict a rise in the construction of attached housing as a means of meeting the demand for affordable or work force housing, discussions have increased regarding the need for construction defect litigation (CDL) reform.